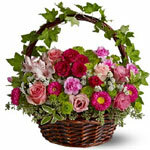 The following suppliers provide gifts of this type but you have to visit their site to purchase. Grumleys discounts do not apply on these sites. We have selected suppliers we believe to be reliable. Please let us know if you find it to be otherwise. If the word Voucher appears, this supplier can also provide gift vouchers for their products. If the word Wraps appears, they will gift wrap the product before shipping. Great educational gifts for children of all ages. What makes Hooked on Phonics unique is that we use our proven learn-practice-play approach. We provide children with bite-sized pieces of new information in every lesson so they are able to master the new concept and achieve success every time. TreeGivers plants trees to honor special individuals... on special occasions...by planting a tree in their name. Such as Birthdays, Weddings, Memorials, Funerals, Retirements, Mothers/Fathers Day, as Christmas gifts, Company incentives, Environmental gifts, etc. 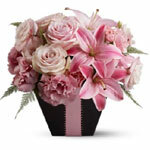 Our flowers are shipped fresh from the growers to you or your recipient's doorstep. Because our flowers avoid extended stays in warehouses, trucks and florist's coolers, we are able to guarantee you the absolutely freshest flowers available. 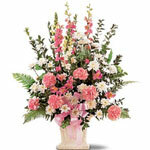 We will never compromise on your flower's freshness or longevity. The coming of a new born, like the blooming of a fresh new flower, is something that calls for celebration. A new or soon-to-be addition to the family, whether it's the first or the fifth, is a life-changing experience and deserves recognition and celebration. Sending flowers to the parents of the new born is a wonderful way of saying that you genuinely care and are truly thrilled about the joyous occasion. You can send your friends and loved ones a combination arrangement with soft toy and/or balloon, or a tasty gift basket or hamper. Celebrate with a personalised gift including the baby's name and date of birth. A new baby probably isn't ready just yet for gifts but you can send the mother a keepsake she will treasure. If Mum is still in hospital, a pamper pack will freshen her life and flowers will brighten her day. Remember though that she may check out within a couple of days so please check before you send your gift. We also have a great range of baby toys and clothes and practical gifts Mum can use after leaving hospital. Traditionally, you can ask our florist or gift supplier for blue tones or pink tones to suit a boy or girl newborn. If you don't know the gender, any colour or a neutral tone will be appreciated. If Mother-to-be is having a baby shower and you can't be present, you can send something from our new baby gift range.